Prescribed burning is one of the best tools for effective forest management. Fire can be used for fuel reduction, hardwood competition control, site preparation before replanting and to promote native browse and cover for wildlife. 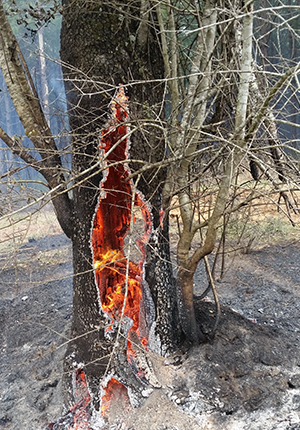 Sizemore and Sizemore often introduces fire in loblolly pines after the first thinning. 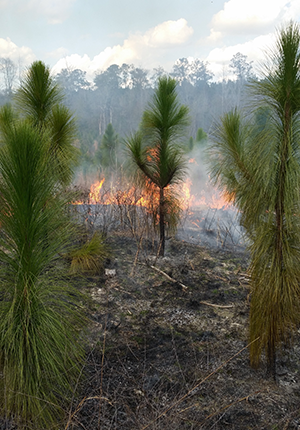 In longleaf stands, fire can be introduced as early as year two. 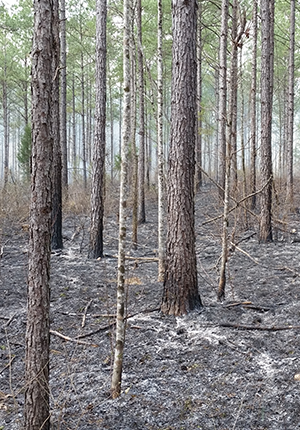 Prescribed burning in longleaf pine also reduces the risk of brown spot needle blight and promotes a healthy longleaf ecosystem.